The Tree | W. Wayne B. Posted on April 11, 2013	by W. Wayne B.
I am sitting beneath a cherry tree. It is growing tall by my house. I wonder if I will fall asleep. What do I see across the street? My neighbors make me laugh. we often talk in the afternoon. I like to think that they know me well. I wonder if I can share my life freely. The days I sit here pass quickly. I need to find a friend. I always walk down the street alone. I strive to get a stronger heart. Soon I will stop the madness. The wind is stiff and I go inside. 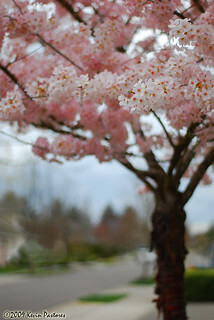 This entry was posted in Poetry and tagged cherry, friendship, home, life, neighbors, tree, wind, z1592. Bookmark the permalink.